The House is very close to town, great restaurants, the beach, nightlife, public transport, and Portstewart harbour. Recently refurbished and sleeps 4 people with a patio and large garden to the back of the property. Great house for family/group holiday. In a good location to drive around the North Antrim Coastline, which includes: the Giants Causeway, Carrick a rede rope bridge, Old Bushmills Distillery, Dunluce Castle, and access to Rathlin Island from the nearby town of Ballycastle. The house is also Ideally situated near Portrush Golf Club and numerous "Game of Thrones" film locations. The house consists of a sitting room, kitchen/dinning room, bathroom and 2 bedrooms. The beds are 1 double in the master bedroom and in the secondary bedroom a bunk bed with a single on the top and a double on the bottom. The property also has a house with consists of a lawn and patio. The property is close to the promenade and to local restaurants (approx ten mins walk away). The beach and golf course are a half hour or walk or a 5 minute drive from the house. There is also a children's play park and football field across the road from the house along with local bus routes close by. This property's interior was fully painted at the start of December and has been finished to a wonderful standard. Along with a new shower fitted at the start of April 2017. Fresh bedding and towels will also be provided. 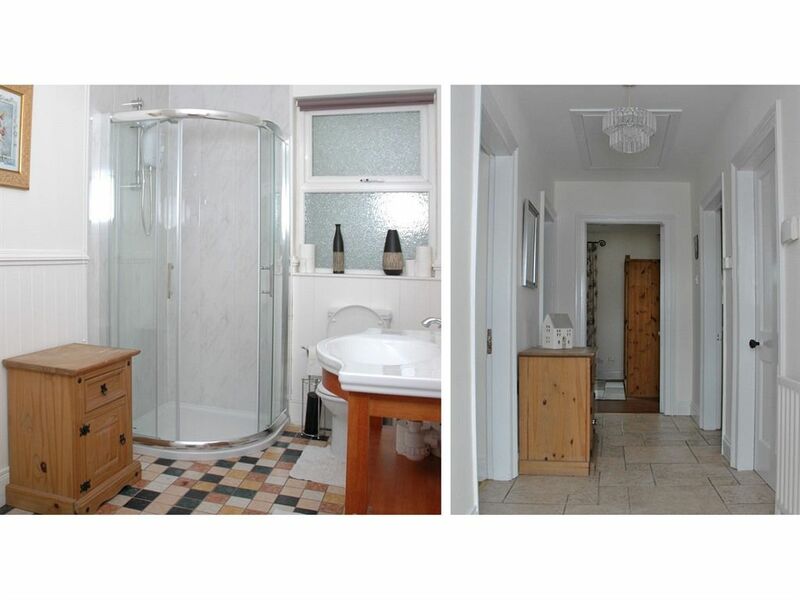 The house is located in a quiet residential area, within five minutes walk of the town centre. The promenade is a short walk away from property and is close to local restaurants/bars.